You begin with some training, essential for you to get familiar with how the game mechanics work. The training camp is in Brazil and by the time it’s over you will know the controls. From there it’s time to go to career mode and compete in the 2014 Red Bull Air Race World Championship. The championship takes place in 8 unique locations across three continents, and the locations look remarkably like the real thing. The more you play the game the more aircraft and areas you’ll be able to unlock. There is also a virtual hanger where you can upgrade your plane, paint it and add extra features to make it even faster. If you’d rather not compete in career mode and just want some fun, try global tournament mode, where you’ll compete against other players around the world. However, you still need to train, qualify and from there go to the Top 12 and try to make it to the Super 8 and Final 4. The gameplay is immersive, and the music helps too as does the graphics. 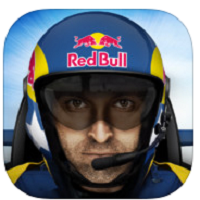 Overall, Red bull Air Race is a very enjoyable game.